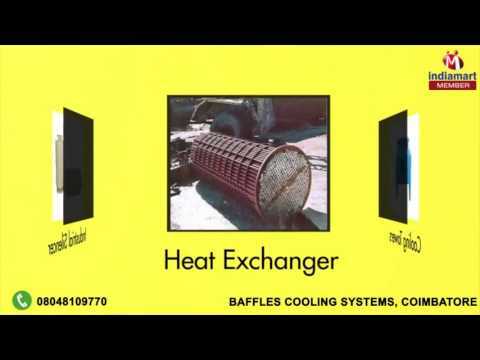 Baffles Cooling Systems, is providing world class range of Industrial Silencer and Cooling Tower. Our wide assemblage of quality products, such as, Industrial Silencer, Heat Exchanger, and Cooling Tower. The extremely useful features that promote our brand name enclosed in corrosion resistant, excellent noise reduction effectiveness, the high thermal efficiency range that functions efficiently with the minimum required maintenance. Our forward-thinking strategy considers the growth we can provide our clients with, this unanimously encourages us to earn solid assurance from our prestigious clientele. We recognize the expanded acumens of our R&D endeavors, and remunerate it with the production of an innovative and highly exceptional range of products that fuel our enthusiasm and growth of our valuable patrons. Moreover, our commitment to quality, competency and empowerment presents us worthy to work for some well-established names in the industry. In addition of this we offer AMC and Installation Service.